DB Sports Tours are delighted to announce details of the 4th annual Summer Cup, set to take place between July 30 – 31 of this year. The tournament, which is now Ireland’s largest small-sided games tournament, will be held in the V.E.C Sports Grounds, Terenure, Dublin. The Summer Cup, which is our longest running annual event here at DB Sports Tours, looks to bring the very best of the youth of Irish football from across all 32 counties in Ireland. The Summer Cup ranges four age-groups: under-9; under-10; under-11, and under-12. The Summer Cup is the perfect example of how our work looks to integrate young footballers from all over Ireland. Both the Schoolboy Football Association of Ireland (SFAI) and the Northern Ireland Football Boys Association (NIFBA) will have teams represent their respective association. Taking place in the V.E.C Sports Grounds, Terenure, there will be 16 grass pitches at the venue in which the extensive tournament will be played. The breakdown of players per age-group is as follows: under-9’s play 5 a-side, under-10’s and under-11’s will play 7 a-side, while under-12’s will play 9 a-side. The breakdown of players per team for different age-groups is set to maximise the development of each footballer. Smaller side games help utilise the key tenets of fast-thinking and possession football; the leading football methodology preached by former RCD Espanyol Academy Technical Director Albert Vinas. 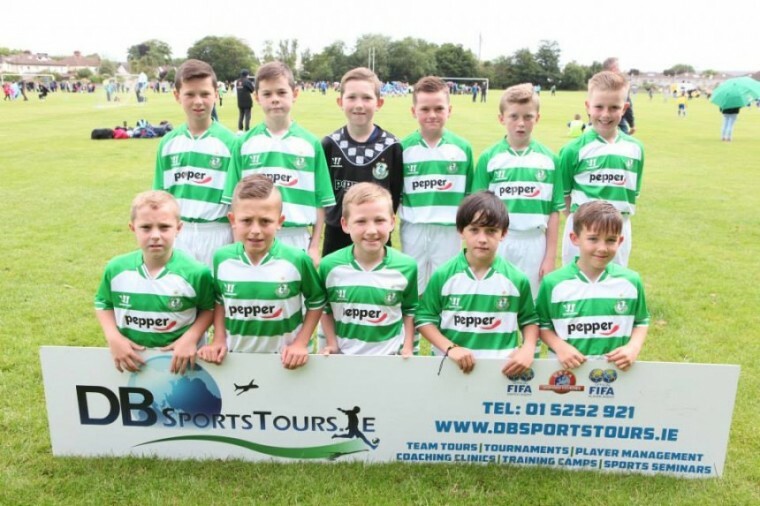 The Summer Cup is a prime example of why DB Sports Tours are the leading sports tour operator and youth football competition creators both in Ireland and abroad. If you wish to find out more about this year’s Summer Cup you can find all our contact details here. We remain steadfast in improving our work all the time, you can check out all of our latest news and developments on our busy blog.